She was born on November 11, 1935 in Middletown and was the daughter of the late Harry and Irene Shriner Young. 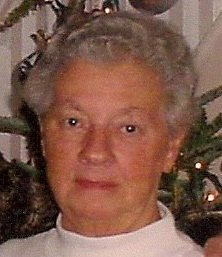 She was a member of Middletown First Church of God and taught the Kindergarten Sunday School Class; was a graduate of the former Middletown High School Class of 1953; she was a league bowler at ABC East Lanes, Harrisburg; and she was a cafeteria manager at the former Feaser Jr. High School. She is survived by her husband of 59 years Harry E. Hartman Jr.; son Donald E., husband of Vicki Hartman of Middletown; two daughters Vickie L. DiSanto of Gaithersburg, Md., and Kathy L., wife of Timothy Campbell of Middletown; two brothers Dale Young of Waldorf, Md., and Jack R., husband of Bonnie Hartman of Royalton; two sisters Goldie Mae, wife of Richard Pelletier Sr. of Middletown, and Kaye F., wife of Richard Campbell Sr. of Somerdale, N.J.; five grandchildren Albert B. III and Angela DiSanto, Courtney A. Chortanoff, Lindsay A. Yurovich, and Brandon L. Campbell; and three great-grandchildren Anna F. and Kade Chortanoff, and Max A. Yurovich. A Memorial Tribute to her life was held on Monday at her church, with the Rev. Kimberly Shifler and Randall Bistline officiating. Memorial contributions may be sent to Middletown First Church of God, 235 W. High St., Middletown, PA 17057; or to the American Cancer Society, 3211 N. Front St., Suite 100, Harrisburg, PA 17110.